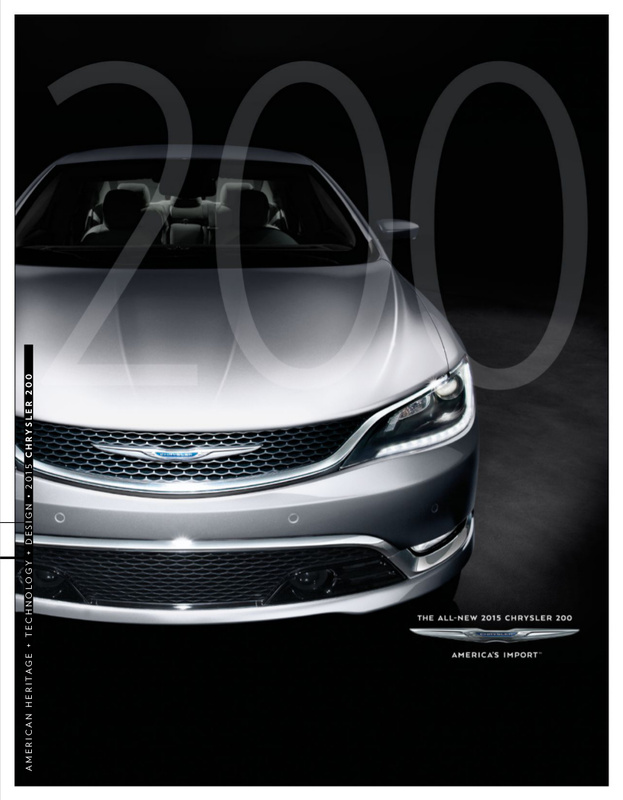 Multimedia version of the 2015 Chrysler 200 sales brochure. In the multimedia version, there are videos and extra information linked/embedded in this catalog. Engine options are a 2.4L 4-cylinder or a 3.6L V6. Option groups include the LX, Limited, 200S, 200C, 200S AWD, and 200C AWD. Exterior paint colors are listed as Billet Silver metallic, Bright White, Gloss Black, Granite Crystal metallic, Velvet Red pearl, Lunar White tri-coat pearl, Vivid Blue pearl, Crystal Blue pearl, Ceramic Blue, Luxury Brown pearl, and Phantom Black tri-coat pearl.